What is the newest planet? Unfortunately, Pluto lost its status as a planet in 2006 when it was reclassified as a dwarf planet. Since then, another contender has emerged for the title of "newest planet in the Solar System" – a celestial body that goes by the name of Eris – while beyond our Solar System, thousands of new planets are being discovered. First observed in January of 2005 at the edge of the Solar System by a Palomar Observatory-based team – led by Mike Brown, an American astronomer at the California Institute of Technology (Caltech) – the identity of Eris was verified later in that same year. 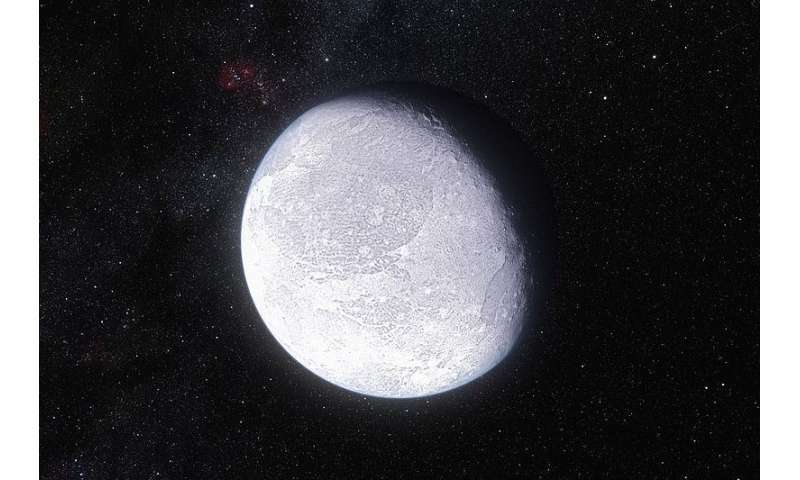 This ball of ice and rock is slightly larger than Pluto, leading some astronomers to refer to it as "the tenth planet". A trans-Neptunian object (TNO) and a member of a high-eccentricity population known as the "scattered disk:, Eris is also the largest dwarf planet and the ninth most massive body in the Solar System. It orbits our sun at a distance of 96.4 astronomical units (1.442×1010 km; 8.96×109 mi), making it the most distant object with the exception of some comets, and has a diameter of 2,326 ± 12 kilometers (1,445.3 ± 7.5 mi). Though its existence was confirmed in 2005, it was not until the International Astronomical Union (IAU) conference in the summer of 2006 that the fate of Eris' was decided. 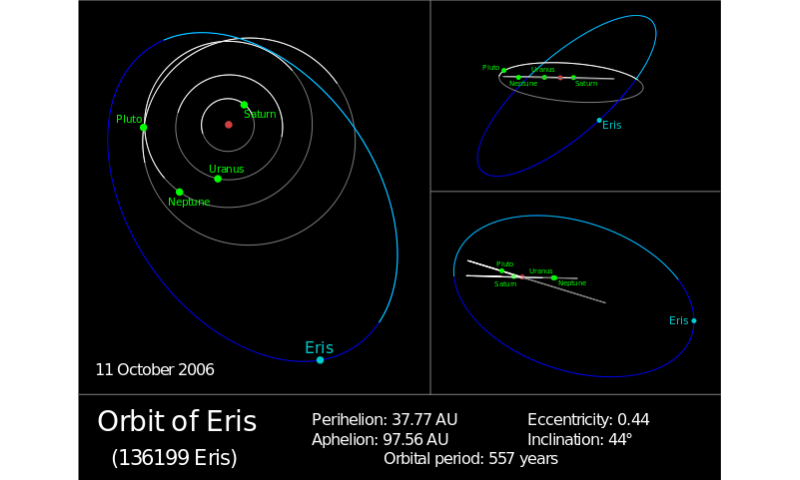 Under the IAU definition that was approved on August 24th, 2006, Eris was classified a "dwarf planet" – along with objects such as Pluto, Ceres, Haumea and Makemake – thereby reducing the number of known planets in the Solar System to eight. Eris did come very close to being the tenth planet and newest planet in our Solar System though. Since many people are still unhappy with IAU's definition of what constitutes a planet, there is a chance – although a very slight one – that Pluto and Eris may change categories and become the ninth and tenth planets respectively. A few months after it was first observed by Brown and his team, a moon was also discovered in orbit around Eris. 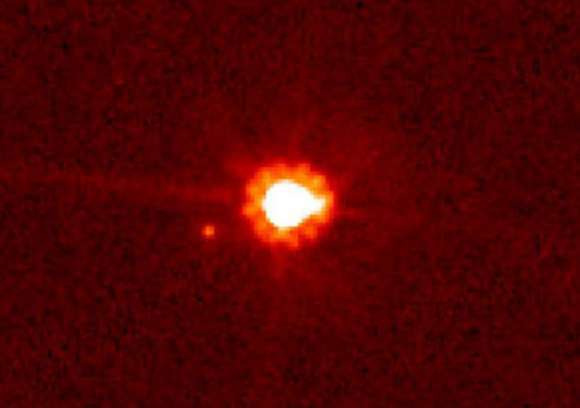 This took place on September 10th, 2005, while a team at the Keck telescopes in Hawaii were carrying out observations of the four brightest TNOs (Pluto, Makemake, Haumea, and Eris). When Eris received its official name from the IAU, the moon received the name Dysnomia, after the Greek goddess of lawlessness who was Eris's daughter. Given the uncertainties in official size estimates, which are largely due to interference from Pluto's atmosphere, there is a reasonable chance that Eris is smaller than Pluto. However, when the New Horizons space probe arrives at Pluto in July 2015, scientists are expecting to get a better idea of Eris' true size. According to science writer and Dutch astronomer Govert Schilling, Brown initially wanted to call the object "Lila" – after a concept in Hindu mythology that described the cosmos as the outcome of a game played by Brahma – since it was very similar to Brown's newborn daughter's name "Lilah". Brown had also speculated that Persephone, the wife of the god Pluto, would be a good name for the object. However, this was not possible once the object was classified as a dwarf planet because of the asteroid that already has that name (399 Persephone). As a result, the discovery team proposed Eris on September 6th, 2006, and by the 13th, the name was accepted as the official name by the IAU. Brown favored this name for two reasons. For one, Eris had been considered a planet for so long, leading him and others to believe that it deserved a name out of Greek or Roman mythology like the others. Second, Brown described Eris as his favorite goddess, and the name remained unclaimed despite just about every name in the Greco-Roman pantheon had been assigned to asteroids in the Solar System. But, as already stated, there is also the matter of planets being discovered outside of our Solar System – aka. extrasolar planets. Identifying which is the latest planet to be discovered represents a bit of a challenge here, considering that since the first confirmed discovery in 1995, astronomers have been finding extrasolar planets at an astonishing rate. As of May 2015, a total 1921 planets in 1214 planetary systems have been discovered, including 482 multiple planetary systems, mainly by the Kepler mission. And the latest to be discovered – thanks to teams working at the Lick Observatory in California, the Keck Observatory in Hawaii, and the Fairborn Observatory in Arizona – are the two exoplanets orbiting the HD 7924 star system (which is 54 light-years from us). 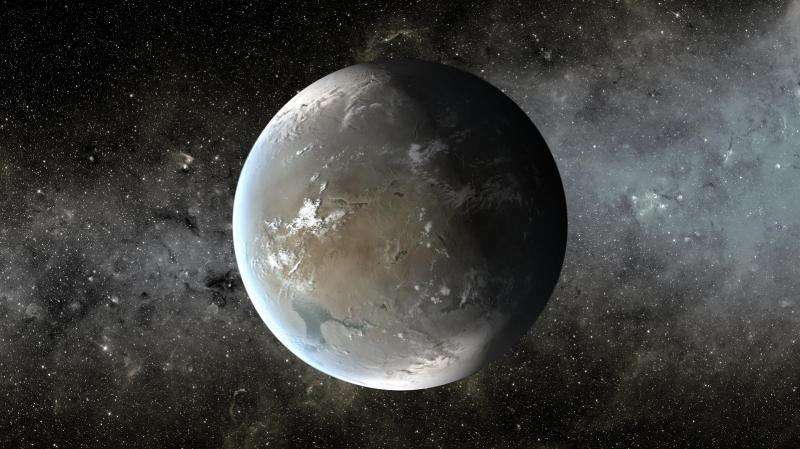 These planets – which have been designated HD 7924c and d – are both "super Earths", with masses of about 7.9 and 6.4 times greater than Earth, respectively. They also happen to be the second and third planets discovered in that solar system (the other, called HD 7924b, was discovered in 2009). This shows that the newest extrasolar planet is always changing. There are sure to be new extrasolar planets discovered in the coming months, especially as astronomers develop more advanced techniques for finding these far off worlds and more observatories – such as TESS, the James Webb Space Telescope, or the Gaia spacecraft – are deployed. And although it is unlikely, it is also possible that we will have new planets in our own Solar System. But this, as we've seen, will likely be due to a change in definitions rather than any new discoveries.